I am thrilled to be participating in what I believe God has called me to: a life in service to others. 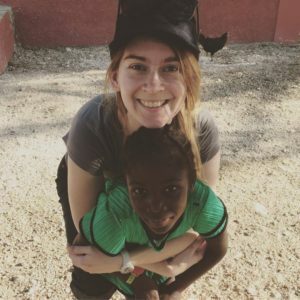 The heart of 3P’s vision – to serve, educate, and advocate for the marginalized in Haiti – is how many of us have found ourselves actively living out the call of Christ to love “the least of these”. It has been incredible to watch His vision come to life through our work together! When I’m not busy with my work as a medical student at Michigan State University’s College of Osteopathic Medicine, I love to spend time with my husband, our dog, and our friends and family. On my days off you can find me reading, hitting the gym, or practicing the ukulele. I also love to travel! Our family lives all across the states of Michigan and Wisconsin, so we regularly rack up miles on our car in our visits to all of them. My adventures abroad have taken me as far as Peru, Costa Rica, China, Taiwan, Japan, Norway, and Israel. I have been on over 250 flights in my life thus far and am certain the number will continue to grow. While I am excited to see all of our projects come to life, I am most looking forward to seeing 3P’s impact on community health and preventative education. By empowering Haitian citizens to take the health and wellness of their community into their own hands, we have the opportunity to promote lasting positive change.